Discover how simple conveyancing can be. Start with a fixed price quote. Our conveyancing lawyers are qualified to give you legal advice. They will take the time to explain conveyancing terms and processes to you. 90 seconds is all you need for a conveyancing quote. Our conveyancing lawyers deliver their service to you online. We provide easy access to legal advice via email and phone conversations. With no reliance on surface mail, documents are shared faster online. Our online conveyancing service eliminates the need for face-to-face meetings. Completing our online form can take as little as 90 seconds before we provide you with a free fixed price conveyancing quote. Alternatively, you can call one of our friendly staff on 1300 444 444 to discuss your service needs. Property transaction documents are thoroughly reviewed by our online conveyancing lawyers for any issues that may affect the transaction. Through the PEXA SettleMe service, you will get instant updates on the progress of document signings from conveyancers online that represent both parties involved in the transaction. Caveats, easements or anything else that may affect the property transaction are identified, and legal advice is provided during the online conveyancing process. Property transfer documents are exchanged and signed while a settlement date is confirmed. Settlement day arrives, the online conveyancing process is complete, and the new owner or tenant can move into their new home. Settlement date is confirmed with conveyancers online. Property transfer documents are thoroughly reviewed. Document updates are provided via the PEXA SettleMe app. Cost estimates are provided for fees and commissions. 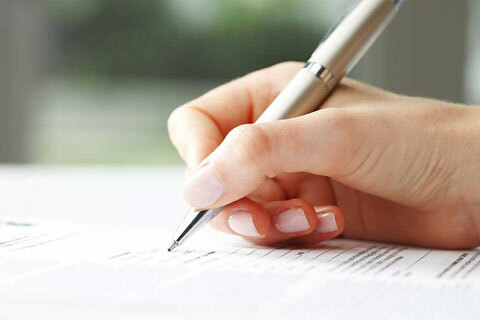 All property transfer documents are exchanged and signed. All property transfer documents are reviewed. Any issues with stamp duty or legal agreements are identified. Legal advice is given for any potential issues with the property transfer. Document signing statuses can be provided via the PEXA SettleMe app. Estimates provided for stamp duty, property valuations etc. Final property transfer documents are signed by both parties. Settlement date is confirmed by both parties. Ownership status is confirmed with relevant authorities after settlement. Our conveyancing lawyers all have a bachelor of laws degree and a diploma in legal practice just to name a few. Our lawyers will provide you with crucial legal advice for any potential legal issues identified. We use online conveyancing platforms such as the PEXA SettleMe app to provide updates with no reliance on face-to-face meetings. We provide a fixed price quote on all residential services and will advise if any service extends beyond the initial fixed fee offered. Conveyancers are only required to have completed a diploma in conveyancing and 12 months of work experience. By law, conveyancers are not permitted to give you legal advice during the conveyancing process. Some conveyancers rely on face-to-face meetings that can prolong the conveyancing process and delay your settlement date. Conveyancers may advertise a lower price but be wary of hidden costs that could be revealed further down the track. We recommend contacting a conveyancer at the beginning of the online conveyancing process. This will allow us to provide you with expert legal guidance and guarantee the conveyancing process runs smoothly, as this is the most important purchase of your life and the risks involved can be extremely high. You can start the online conveyancing process today by filling out our free quote form. After getting a fixed price quote, a notification will be sent to one of our conveyancers online. They will contact you shortly to talk about your property transaction. How much does it cost to use conveyancers online? Whether you are a small first home buyer or a large-scale property developer, Conveyancing.com offers efficient, cost-effective and carefully tailored advice. Utilising our team of leading online conveyancing experts, we provide you with exceptional legal support and guidance throughout the entire process. What are the differences between a lawyer and a conveyancer? The major distinction between a lawyer and conveyancer in Victoria is their qualifications and level of training. To be a lawyer, you are required to complete at a minimum a Bachelor of Laws degree followed by a one-year Graduate Diploma in Legal Practice. 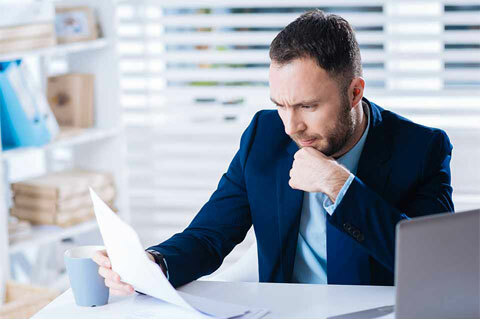 In contrast, registration as a conveyancer typically involves the completion of an advanced diploma of conveyancing and 12 months of work experience. Conveyancers will typically charge less than lawyers for their services; however, they are not qualified to give legal advice. While most online conveyancing transactions are completed without major hassles, some do occasionally end up in litigation before court. In these instances, it is imperative to have an expert in property law representing your interests. Still have questions about online conveyancing? Get in touch today, and we'll happily answer them for you.